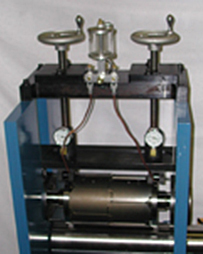 Many older presses do not come equipped with gauges for monitoring die pressure. Our precision digital load cells can be adapted to any press and are portable enough to move from station to station. Digital Electronic Pressure Monitor – Electronic pressure transducers used in Midway’s Digital Electronic Pressure Monitor offer high accuracy readings in a digital format. Running tooling at the lowest necessary cutting pressure reduces stress on the die, gears, and anvil, thus extending die life and increasing profitability. Also, the digital readouts show real-time pressure allowing the operator to monitor the tool during the press run. Each unit is completely portable and may be moved from press to press, station to station. Because the monitor design is universal and not press specific, the Midway monitor offers great flexibility. Hydraulic Pressure Gauges – For harsh environments or for applications that require a more permanent set up, our hydraulic pressure monitors fit the bill. Since the hydraulic system requires an entire gauge set and cross bar, each set is manufactured to existing press specifications. 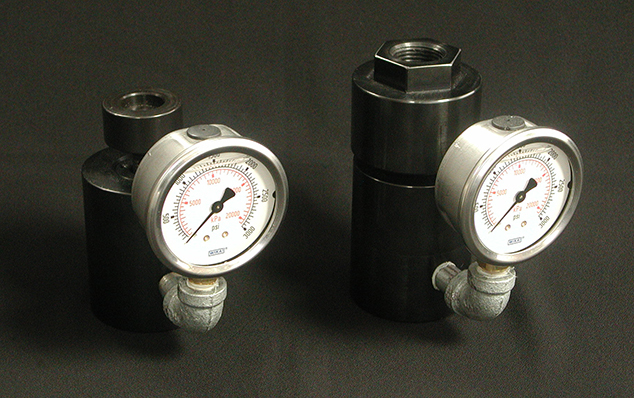 Hydraulic gauges apply pressure directly over the bearers of the tool to insure proper location of the load.